Question 5. Find the measure of each amgle in the triangle below? Question 6. 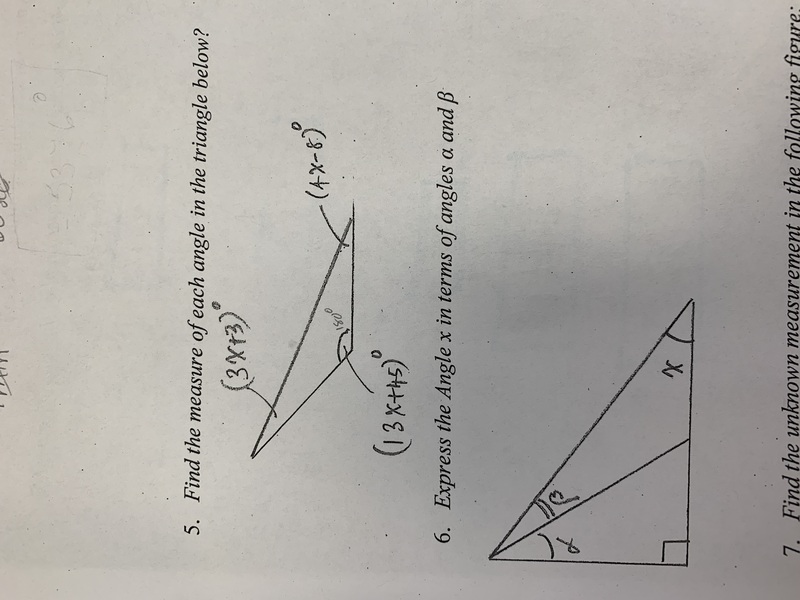 Express the Angle x in terms of angles a and B. Could anyone explain these questions step by step how to solve them?